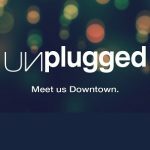 Hang out with your all your cool friends and get “Unplugged” on the Great Lawn of City Hall in Downtown Coral Springs on Saturday, March 2. This outdoor event features live music, craft beer, wine, food trucks, an artist village and life-size games. It all goes down from 6 to 10 p.m.
Local bands and musicians performing will include: Billy Vasquez, The Helmsmen and Above the Skyline. They will be jamming on stage throughout the night. Area artists will be painting and creating live art as well as selling their crafts and art. Karmic Ice Cream and Cool Beans Cafe! The event is free, but food and refreshments are for purchase. Proceeds from beer and wine sales will benefit the Coral Springs Museum of Art. Cash and credit cards will be accepted for beer and wine tickets to be redeemed at the local brewery booths. There is plenty of free parking in the City Hall Garage (9500 West Sample Road). Be sure to bring a lawn chair or blanket. Refrain from bringing coolers or outside beverages. Well-behaved dogs on a leash are welcome. This event is geared to an adult crowd, there are no planned activities for young children, but as with all Coral Springs events, everyone is welcome! For more information, visit www.CoralSprings.org/Unplugged and updates via Facebook.